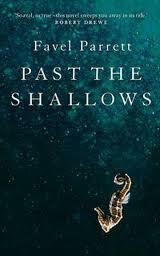 After taking 9 weeks to read the last novel, I flew through Favel Parrett's Past the Shallows in a few days. On the 2012 shortlist for the Miles Franklin award, this book was just a pleasure to read. 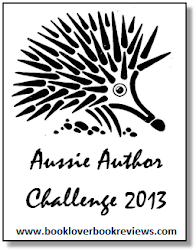 This is another Australian novel for the 2012 Aussie Author Challenge. The language is simple, short and sharp. 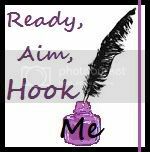 The sentences are long and descriptive when they need to be, and short and quick to keep the pace going when they need to. 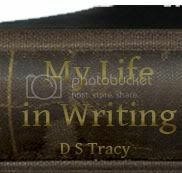 When the writing is imitating the thoughts of the young boys that are the main characters, the sentences are short and simple. The language leaves so much unsaid, and yet the characters are so vivid. Aunty Jean is the only living female in the story. She appears both cruel and caring, self-centred and yet generous, unstable but intuitive. She knows how the boys live, and how their father treats them, and yet she doesn't do more. She buys groceries for them once during the story, and lets them starve otherwise, when she knows their father doesn't provide for them. She dissolves into tears very quickly, but then she takes Joe's safe haven away from him by contesting the Grandfather's Will and selling the house. She must have her own reasons, but she is a very complex character. The image of her that I get is of an older women, fairly large, and wearing oversized cotton dresses. There is not much description of her at all. It is interesting that the boys' father is only ever referred to as 'Dad' throughout the novel. I think we learn his full name once, but it doesn't have much impact. He is a faceless monster. Maybe Aunty Jean is afraid of Dad, which is why she doesn't interfere more. Maybe the whole community is afraid to do something - it must have been set in time some years ago, otherwise someone would get child protective services to visit (or the Fisheries staff would have made a report to child protective services after their visit). It is suggested that the ocean is a metaphor for Dad - that Harry fears it, and Miles both loves and hates it. Until I read this suggestion, it didn't occur to me. I thought that the way the boys related to the ocean reflected more on their own characters. Harry is more tentative and sensitive - he is not daring and rebellious like the older boys. Miles is the typical middle child, trying to please everyone - he wants to be free, but he feels obligated to look after Dad and look after Harry. The piecing together of memories and events is done very skilfully by Favel Parrett, and although a lot is left unresolved at the end (about Dad, mainly), is doesn't really matter. You only care for the boys, and the reader knows that all will be well.